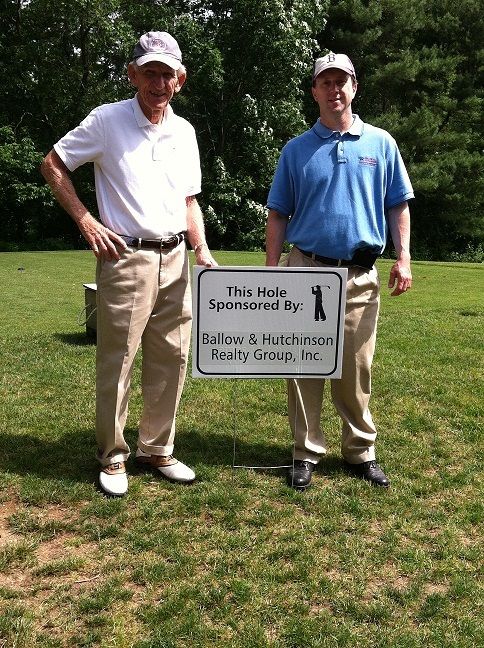 Blog Posts - Ballow and Hutchinson Realty Group, Inc.
Preparations are underway for the 12th Annual Golf Tournament to raise money for the REALTOR® Community Service Committee. Proceeds from the 2014 tournament were donated among the following local groups and organizations: "Y" Strong Kids Day Camp of Taunton, New Hope, Pro Home Inc., Pride, Inc., Co-op, Boys and Girls Club of Taunton, Citizens for Citizens and Associates for Human Services. As we get ready for this year's tournament, we are in need items for our goody bags, raffles and auctions. If you prefer to help out in other ways, we offer the opportunity to become a hole sponsor at a cost of $100 or by participating in the tournament at a cost of $100 per golfer (includes golf, cart and lunch). As always, the tournament will be a fun time with many laughs, great food and prizes. This year's tournament will be held on June 11, 2015 at The Back Nine Golf Club, 17 Heritage Hill Drive, Lakeville, MA 02347 Registration begins at 7:30 AM and we will tee off at 8:00 AM. 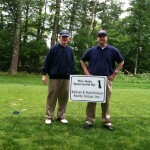 If you'd like to play, sponsor a hole or have other items to donate, please call Mike Ballow @ 508 269 5972. Thank you! The data below is compiled from the MLS Property Information Network for the 4th quarter of 2014. If you'd like to see the market data for your particular community in Massachusetts please send me an email and I'd be happy to prepare it for you. Use the following links to view single family homes, multi-family homes, and condominiums that are currently for sale in Taunton, MA. As always, if you have ANY real estate related questions or needs, please feel free to give me a call! © 2014 MLS Property Information Network, Inc. The data below is compiled from the MLS Property Information Network for the 3rd quarter of 2014. If you'd like to see the market data for your particular community in Massachusetts please send me an email and I'd be happy to prepare it for you. As an update to my last post, there will be a fundraiser on October 12, 2014 for Taunton Firefighter Chad Larivee. Details on the event and the cause can be found by clicking here. Hope to see you there! As I write this post, it's been 5 days and the donations made to support injured Taunton, MA firefighter Chad Larivee have exceeded $105K! If you don't know the story by now you can read about it here. I think that the support received to date speaks loudly about a few things. The first is Chad Larivee. Although I am approximately the same age as Chad, I don't know him personally but know many people who do. They ALL speak very highly of him personally and professionally. The next are the citizens of the City of Taunton. As I scrolled through the list of people who made donations I see many names that I know who are residents of the City of Taunton who just want to help out. Finally, I'm amazed about the brotherhood and bond between firefighters everywhere. It is so strong and apparent at a time like this when one of their own is in need. Seriously, they have organized shifts so that someone is there with Chad 24 hours a day so that he is never alone! If that doesn't make the hair on the back of your neck stand up you should go and have your pulse checked...I hope and pray for Chad and his family that he is able to recover from this accident as best he can. If you'd like to get involved by making a donation, as many people from seemingly all over the world have done already, you can go to the following website: http://www.gofundme.com/ci2rmk. Knowing the charitable nature of the Taunton Fire Department, I'm sure there will be other events and fundraisers held to help the Larivee family. If I hear of any I will post them here. Hope everyone is enjoying the summer! My market update for the 2nd quarter of 2014 reinforces the theory of the strength of a spring market. During my last update, we saw a decrease in the number of units SOLD across all covered segments and an increase in average sales prices in the multi family market only. Guess what happened once the spring hit? You guessed it, the number of units SOLD saw increases of 47% (single family), 113% (multi-family) and 70% (condo) from the 1st quarter of 2014!!! Interestingly, the increases in the average sales prices for single family and condominiums were each just under 10%. Don't get me wrong, an increase is an increase! Finally, while the increase in SOLD multi-family units blasted off in the 2nd quarter, the average sales price did fall by just over $6K. Many of the investors that I work with are circling the runway as they wait for new properties to come onto the market. However, the formulas that they use to invest are changing. Many investors who were eager to buy properties in 2013 have taken a wait and see approach now that asking prices have been rising. The feeling seems to be that there aren't as many "bargains" out there to be had. The margins are getting thinner for flippers and other investors. There is still money to be made but you have to really know what you're doing. Give me a call if you have any investment related questions or are in the market to buy or sell a property just about anywhere. I'd be happy to help!! The data below is compiled from the MLS Property Information Network for the 2nd quarter of 2014. If you'd like to see the market data for your particular community in Massachusetts please send me an email and I'd be happy to prepare it for you. Use the following links to view single family homes, multi-family homes, and condominiums that are currently for sale inTaunton, MA. As always, if you have ANY real estate related questions or needs, please feel free to give me a call! 2014 MLS Property Information Network, Inc.
11th Annual RCS Golf tournament - A fun and successful event! 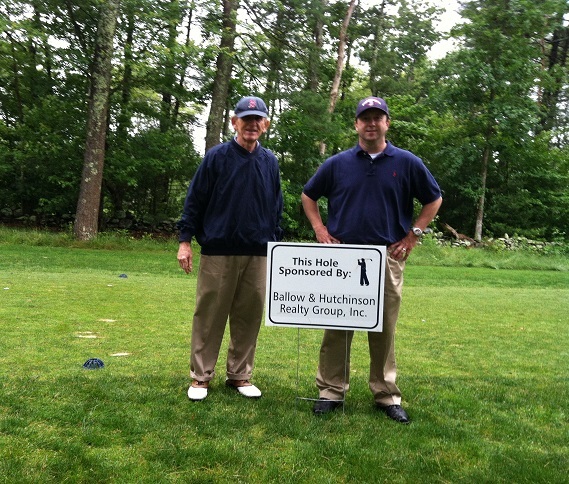 On June 12, 2014 the North Bristol County Association of REALTORS held its' 11th Annual golf tournament. The weather was beautiful and it was a fun filled day out on the course! We had 72 golfers, a nice meal, and lots of raffle items to give away afterwards! Most importantly, we were able to raise some money that will be distributed to many deserving charities and organizations throughout greater Taunton. We also collected several baskets of food and some cash that we were able to donate to the Raynham Food Pantry. A big thank you goes out to our golfers, hole sponsors and those who donated items for our raffles and live auction. As Chairman of the RCS, I want to personally thank the other members of the committee for their time and effort in making this successful event possible. Members include, Delores Kenney, Dave Curtis, Jesse Paquette, Dan LeBrun, Jennifer Oldfield, Vicky Faunce, Marty Desjardins, Kelley Marie, Kim Thomas and Diane Blais. Thanks to all for another job well done!!! Happy Spring!!! My market update for the 1st quarter of 2014 shows some interesting numbers to say the least. These numbers may tell more of a story at the end of the 2nd quarter so we'll have to stay tuned to see what happens...The number of units SOLD saw deceases of 23% (single family), 64%(multi-family) and 23%(condo) from the 4th quarter of 2013. Was it the bad winter? Was the inventory low? Did rates go up? I feel that the answer to this question is a combination of low inventory and the weather. Additionally, average sales prices only increased in the multi-family segment of the market. Anyone in the business knows that inventory has been low, especially in the multi-family market. Historically, when inventory is low prices start to climb. It's supply and demand...I watched an ABC news special on Real Estate the other night. They profiled buyers in different states who were up against multiple offers on every property they made offers on. In most cases, the seller's sold at over asking price with buyer's almost begging to have their offer chosen. Some submitted letters with photos of their children to accompany the offer! As we're now a full month into the 2nd quarter there are large numbers of properties that are pending, either contingent or under agreement. Check back to see how the 2nd quarter unfolds, I can't wait! At my last update I said and want to reiterate again that if you are on the fence, now is the time to get yourself preapproved so that you're ready to buy. Many properties are getting multiple offers but you HAVE to at least be armed with a preapproval to submit an offer! Contact me and I'll put you in touch with a mortgage professional who will help you determine and establish your purchasing power. The data below is compiled from theMLS Property Information Network for the 1st quarter of 2014. If you'd like to see the market data for your particular community in Massachusetts please send me an email and I'd be happyto prepare it for you. 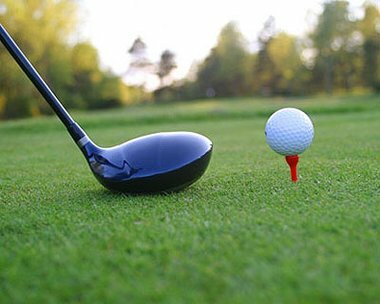 The North Bristol County Association of REALTORS Community Service Committee is in the process of coordinating the 11th Annual Golf Tournament. With past support from many individuals and companies, we have been able to make our annual tournament a great success. The money raised in 2013 was donated among the following groups and organizations: Y Strong Kids Day Camp of Taunton, Pro Home Inc., CO-OP, Pride Inc., Associates for Human Services Inc., Wounded Warrior Project, New Hope, Boys and Girls Club of Taunton, Citizens for Citizens, Our Daily Bread Food Pantry and Homes For Our Troops. 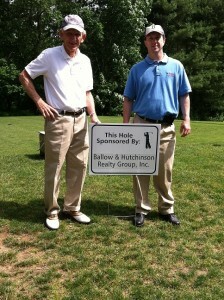 Dave Hutchinson and Mike Ballow on tournament day! As we prepare, we are in need of items for our goody bags, raffles, and auctions. If you prefer to help out in other ways we offer the opportunity to become a hole sponsor at a cost of $100 or by participating in the tournament at a cost of $100 per golfer (includes golf, cart, and lunch). As always, the tournament will be a fun time with many laughs, great food and prizes. This years tournament will be held on June 12, 2014 at The Back Nine Golf Club, 17 Heritage Hill Drive, Lakeville, MA 02347. Registration begins at 7:30 AM and we will tee off at 8:00 AM. If you're interested in joining us to play golf, sponsor a hole or have other items to donate please email me. Thank you in advance for your support and participation as we get back to work to make our 11th annual event a success! Happy New Year!!! My market update for the 4th quarter of 2013 saw increases in the sales prices across the board for all residential housing sectors. The number of units sold however saw decreases on both single family and multi-family homes with a slight positive change on the number of condos sold within the same period. 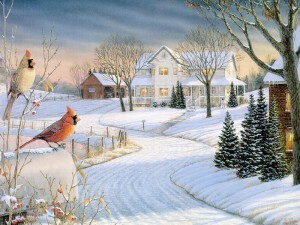 As we're into the deep of the winter there have not been a tremendous number of homes coming onto the market. This of course is a typical situation and as we know spring is just around the corner! Plus, pitchers and catchers for the Boston Red Sox report to spring training on February 15, 2014. Interest rates continue to be in the low 4% range but the feeling from the mortgage professionals is that we will see an increase in rates in the latter part of 2014. With that said, if you are on the fence, now is a great time to get yourself preapproved and to start watching what new inventory comes onto the market. You have to be prepared and ready to write an offer even before finding the right property. Contact me and I'll put you in contact with a mortgage professional who will get your preapproval together. The data below is compiled from theMLS Property Information Network for the 4th quarter of 2013. If you'd like to see the market data for your particular community in Massachusetts please send me an email and I'd be happyto prepare it for you. 2013 MLS Property Information Network, Inc.